Extending Education – Elevate A Girl Foundation, Inc. Educating a girl is a lifeline to development. Our scholars are the future of Tanzanian STEM girls! 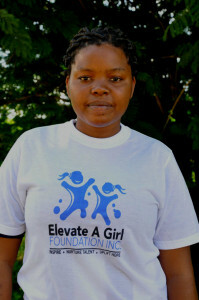 Elevate A Girl Foundation, Inc. aims to extend educational equality to less fortunate yet bright girls in Tanzania by providing scholarships that will cover tuition and fees as well as other associated costs to attend selected top-performing high schools such as Marian Girls’ High School. Providing these talented girls access to quality education exposes them to limitless opportunities. To ensure accountability from the recipients of the scholarship,they will be required to maintain good grades. In order to qualify for our scholarship, an applicant must show proof of good academic progress and demonstrate financial need. Our selection process ensures that our scholarship benefit those who need it the most. The EAGF ground team in Tanzania conducts house visits to interview the applicants and their families. An applicant is required to write an essay to help us understand her goals and nature of her financial need. Be interested in pursuing STEM subjects in high school. Show proof of financial need. Demonstrate academic potential, integrity and strength of character despite notable adversity. After satisfying all conditions in our vetting process,we then provide the selected girls with the application forms to continue with the schools’ competitive interview process. If accepted, EAGF will provide a scholarship to cover 100% of the cost of attendance at a reputable(top performing) private school in Tanzania. Thank you for your support to Elevate a less fortunate, yet bright girl in Tanzania!